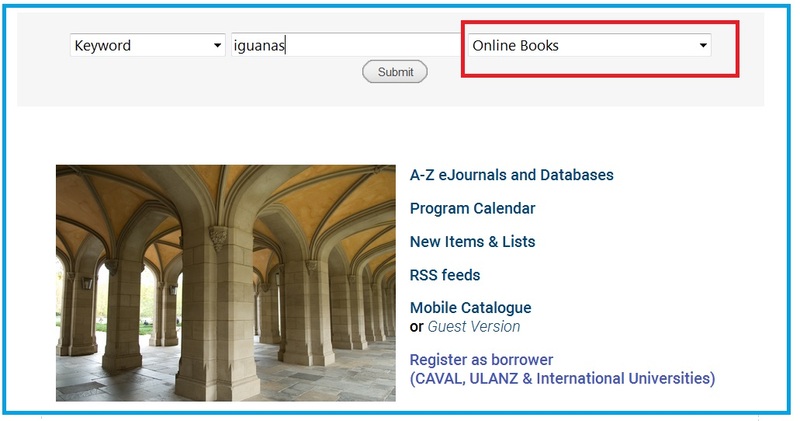 When you use the catalogue, eBooks will come up in the results of an ordinary search, but the method below limits your search to eBooks. 3. 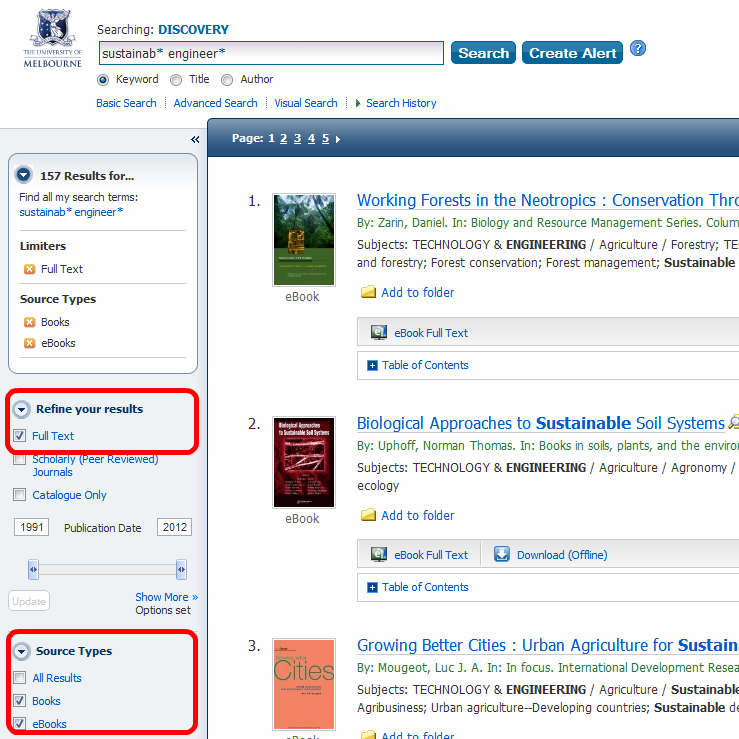 Enter your search term and select Online Books from the drop down menu, then Submit. 4. Then review the results. 5. In your results, click on the Connect to ebook (University of Melbourne only) link to access the ebook online. When you use Discovery, eBooks will come up in the results. 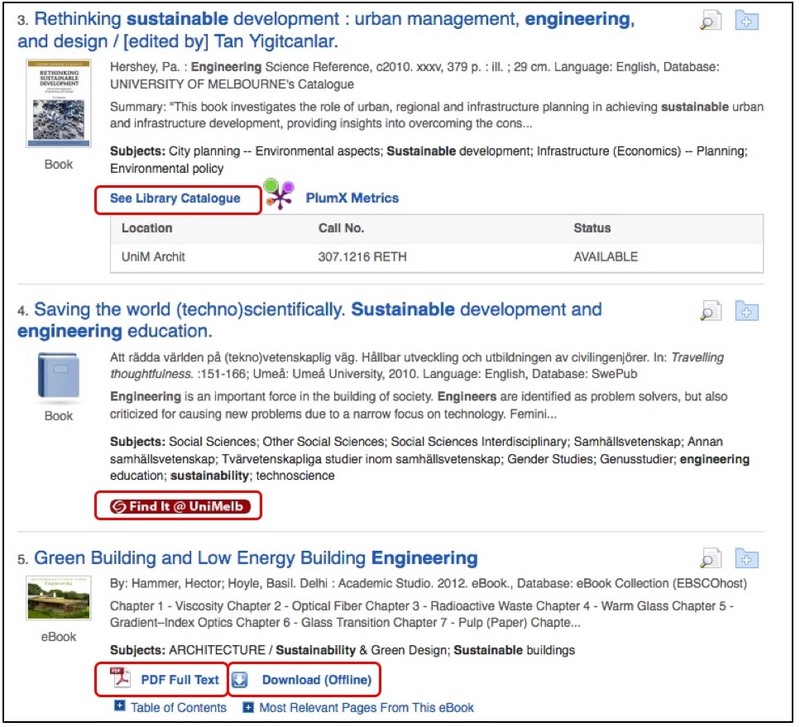 Here is one way you can limit your search results to ebooks in Discovery. Type your search terms in the Discovery search box at the top of the page and click the Search button. Login using your unimelb username and password (if you are prompted to do so). In the Refine your results section to the left, tick the Full Text checkbox and click the Update button. In the Source Types section, tick the checkboxes: Books and eBooks and click the Update button. Then any ebooks that match your search query will be listed in the search results. See Library Catalogue link . You can search for eBooks in A-Z Databases. 1. Log into A-Z Databases from the Library homepage. Some specific Subject Research Guides also highlight various eBook packages and titles.